Our spa & wellness paradise, with its 230 m² sauna complex, is your guarantee of rest and relaxation in Bad Kohlgrub. 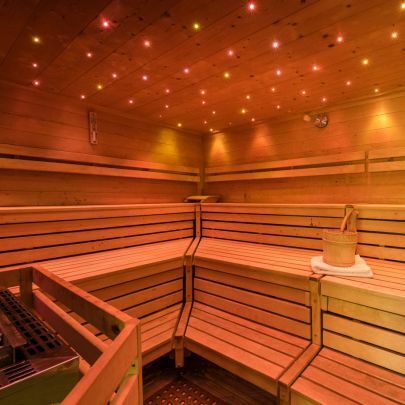 Feel the beneficial warmth of our Finnish sauna. See for yourself how the precious-stone steam bath relaxes your whole body. 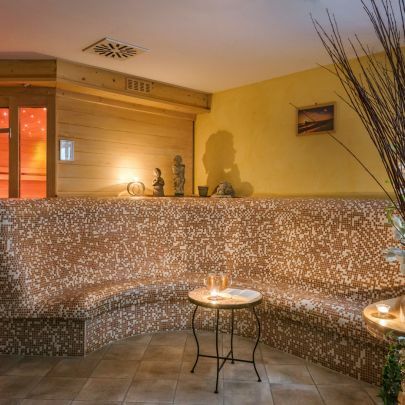 Relax in the pleasant temperatures of the organic herbal sauna with fireplace. Our spacious spa & wellness complex in Hotel Waldruh offers residents various saunas and steam baths. Enjoy your holiday to the full, and book your treatment from the following: Ayureda, make-up, massages. You can really take a deep breath in the steam grotto, relax on the heat benches and allow yourself to sink into a peaceful sleep in the harmonious relaxation zone. The circulation-boosting gravel tread basin, the whirlpool and the solarium (both subject to an charge) complete our range of spa & wellness facilities, which, quite simply, leaves nothing to be desired. 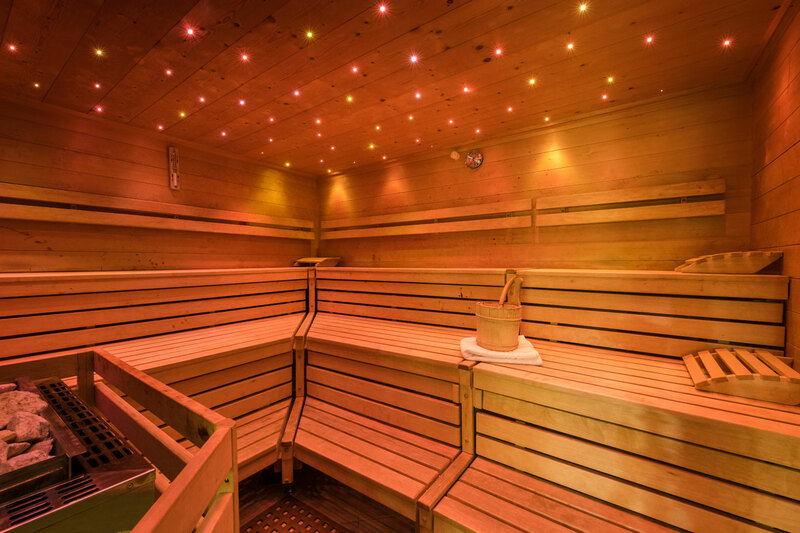 Feel the beneficial warmth of our Finnish sauna. See for yourself how the precious- stone steam bath relaxes your whole body. 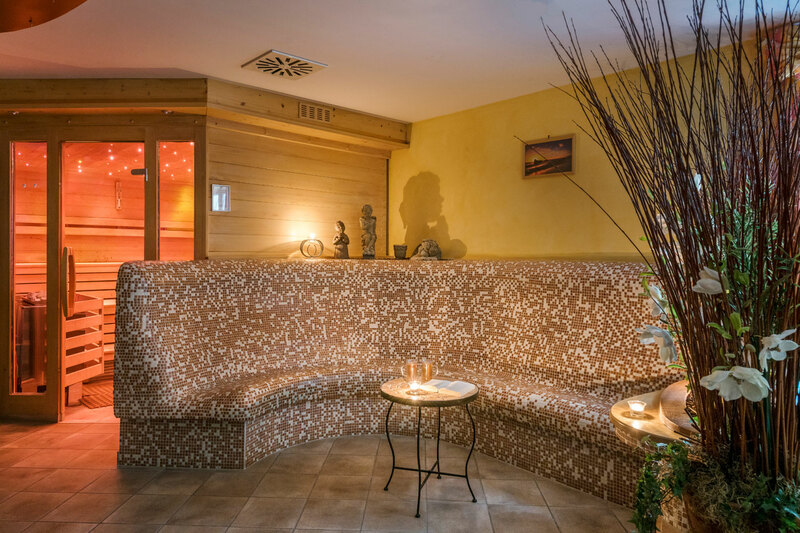 Relax in the pleasant temperatures of the organic herbal sauna with fireplace.